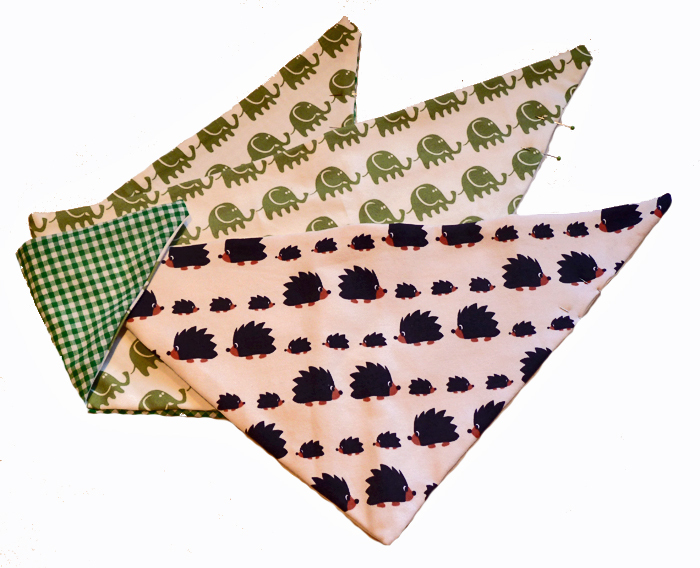 These scarves / bibkerchiefs / dribble bibs are a great addition to any outfit! These three have been made in a smallish size to fit the youngest members of the family (i.e. less bulk for those not yet able to sit upright). The fronts are made out of soft stretchy material. 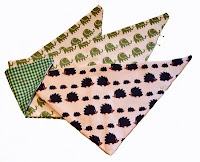 One of the elephant bibs has green/white gingham on the back, the others are plain white. I still need to add snaps and also the personalised labels (due to arrive in the post!) before these are completely finished.